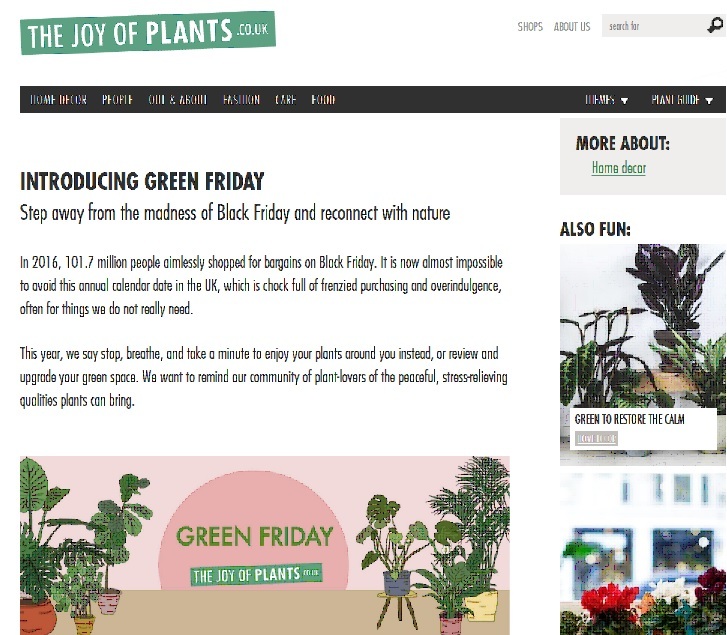 The Joy of Plants have created a wonderful article about Green Friday – all about plants and adding more green to your life! Their suggestion is: “This year, we say stop, breathe, and take a minute to enjoy your plants around you instead, or review and upgrade your green space. We want to remind our community of plant-lovers of the peaceful, stress-relieving qualities plants can bring.” They also advise mindfulness and stepping away from screens and devices. Every little helps get the Green Friday movement noticed and this article is certainly a move in the right direction! Their motto: We can always find room for more green!